Looking for dinner in just a few minutes? Make-ahead tin foil dinners are the way to go, for a quick weeknight or camping meal. 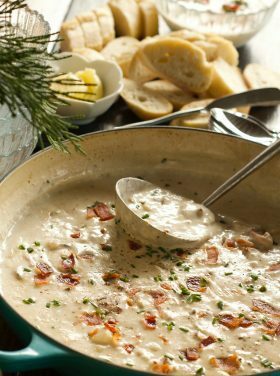 This post will show you how to make an easy, delicious seafood meal at home, any night of the week. Think globally, with Gorton’s Italian Shrimp Scampi Foil Pack Dinner Packets! 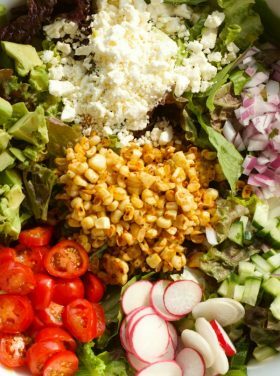 There are choices when it comes to quick and easy meals, but have you thought about making your own? 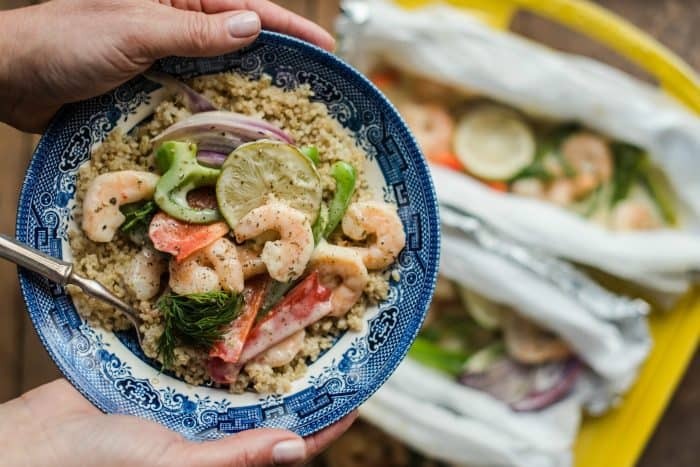 Seafood is on our weekly rotation of meals, so when I made ahead this Shrimp Scampi Foil Pack Dinner, there was a bit of excitement in our home. 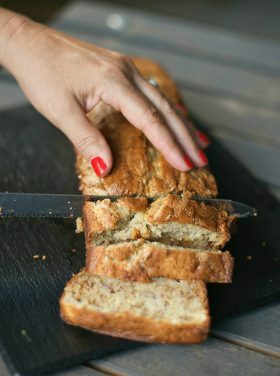 I’m partnering with Gorton’s for this delicious post today! 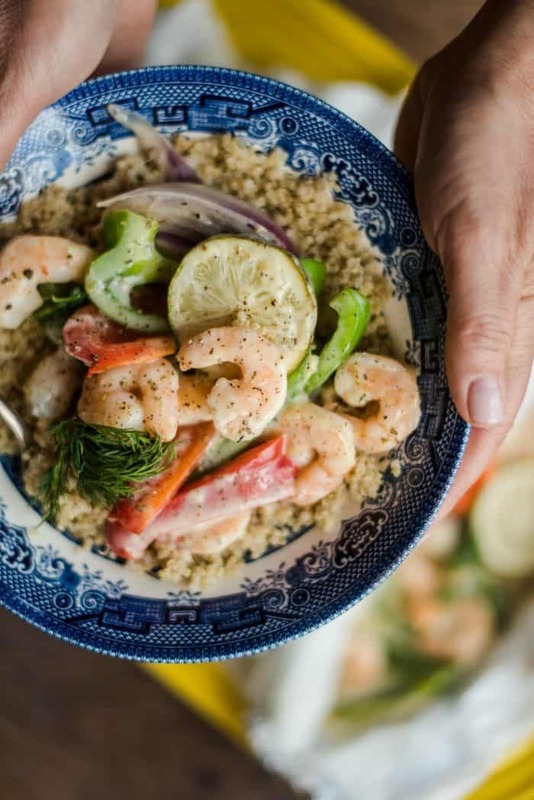 Shrimp Scampi is Gorton’s take on an Italian classic, and it comes in a “Bake Perfect Oven Bag,” which makes it incredibly easy to prepare at home. 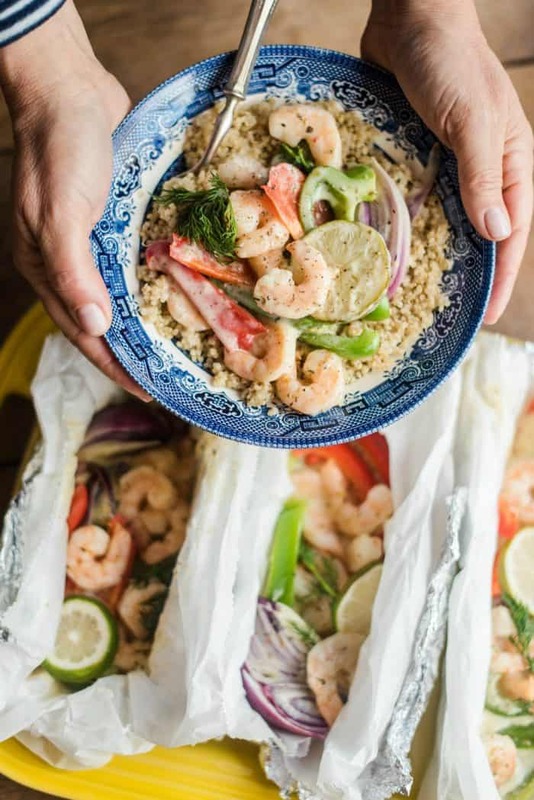 Simply pop it in the oven, and the shrimp cooks to perfection, while the bag locks in flavor for a perfectly cooked meal every time. My family loves it when I make foil pack dinners. Not only are they great for camping, but have you ever made a dozen up and kept them in the fridge? For lunch or dinner, for a busy family, they’re delicious for popping in the oven for a quick, easy meal. 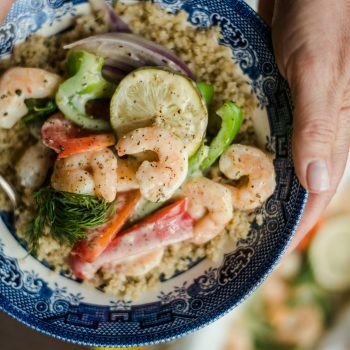 I don’t know about you, but our family wants to be eating seafood year round as part of a balanced diet. 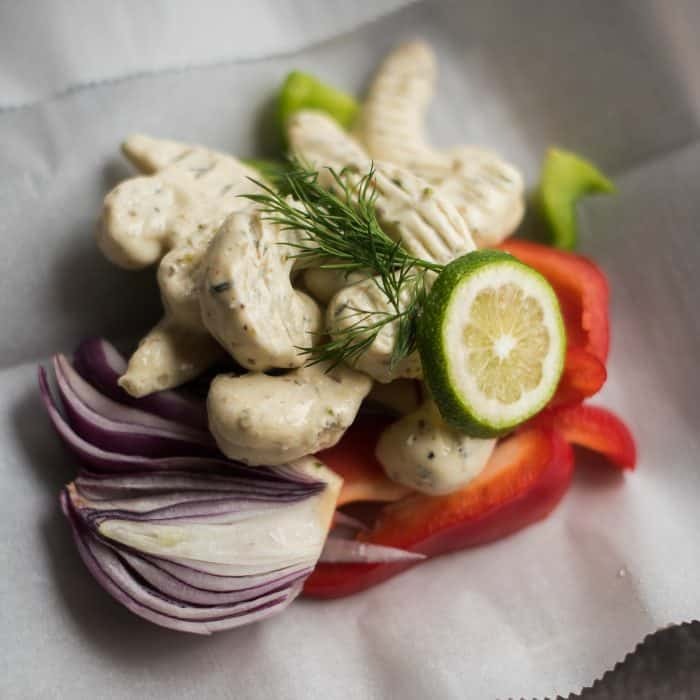 Here’s what you need to make these foil pack meals: Parchment paper, foil, and simple ingredients. Which is where Gorton’s Seafood comes in. Gorton’s is “trusted by those who know seafood,” because they have fed families around the world for generations. Gorton’s has actually been around for 167 years, in recent decades with the finest frozen seafood. 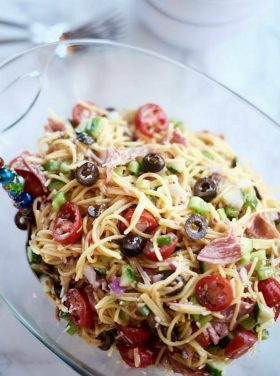 I love to add their fish to classic dishes, like my Salmon Spaghetti Carbonara, and keep it in the freezer for weeknight meals or last-minute guests. I love how my friend, Lori, used the same salmon and made delicious Salmon Wellington! To make a foil pack dinner, start with a protein, like chicken or fish. 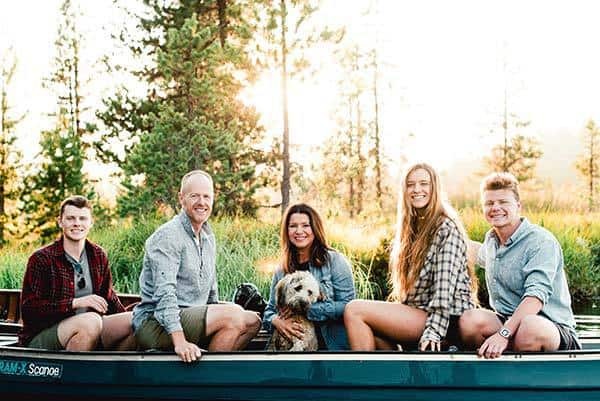 Want to make it easy? Open a pack of Gorton’s Simply Shrimp Scampi (in garlic and butter). Next, add the protein to your favorite veggies. Wrap and refrigerate! When you need a quick and easy weeknight dinner, pull from the fridge a foil pack dinner. 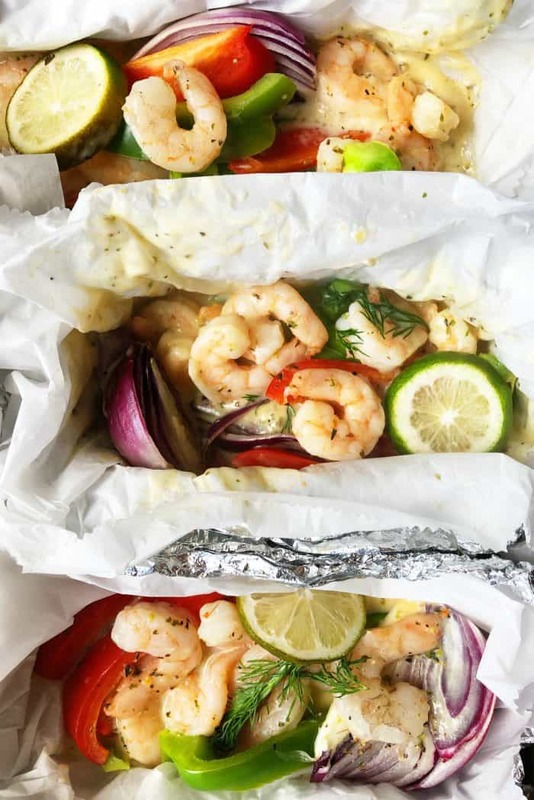 Simply layer ingredients ahead of time, using Gorton’s Simply Shrimp Scampi on sheets of foil (and parchment), and wrap into neat little packages. For secret flavor? 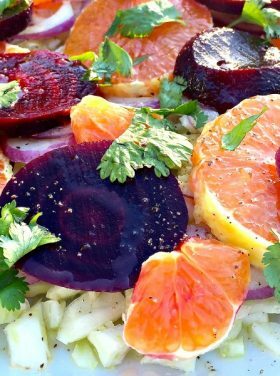 Top with 1 slice of lime and fresh dill (or your favorite herb). Cook them on the grill or in the oven. 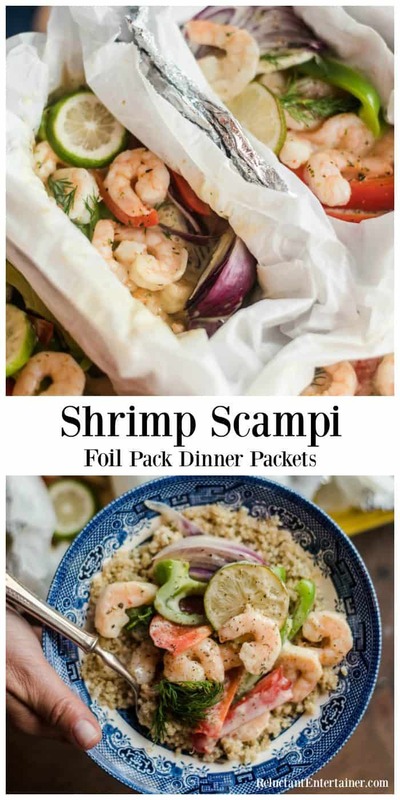 So many of you have been going crazy over my Caprese Chicken Foil Packs, and this Vegetable Sausage Foil Pack Dinner recipe, so this time we hope you love these Shrimp Scampi Foil Pack Dinners. No matter the time of the year, foil pack dinner recipes are always in season! Guess what I love the most about this meal? Almost zero cleanup, thanks to the nifty foil pack concept! 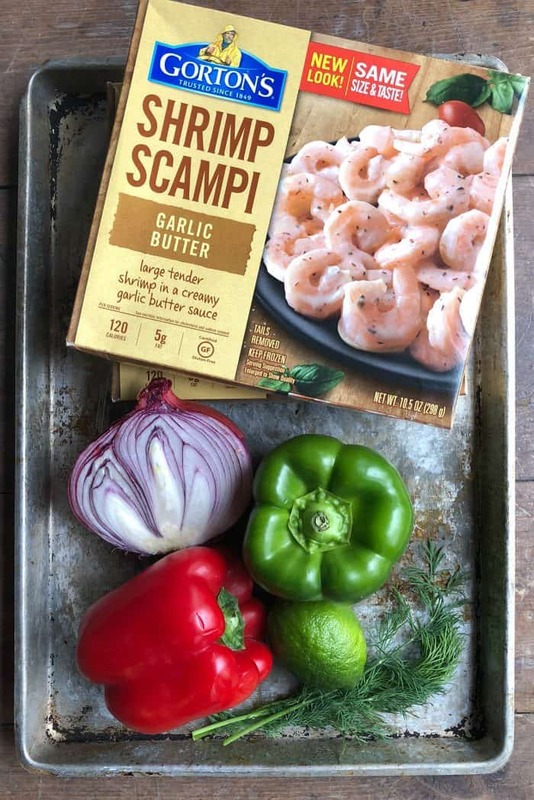 Simple shrimp scampi in garlic butter, with peppers and onion, foil pack dinners are easy to make for a 30-minute meal. Make-ahead or just in time for placing in the oven or on the grill. Great for camping or any time of year. Lay 5 12x10 inch pieces of parchment paper on top of 4 pieces of foil on a flat surface. Divide the peppers and onion in the middle of each piece of foil. Lay the shrimp on top of the veggies. Top with 1 slice of lime and fresh dill. 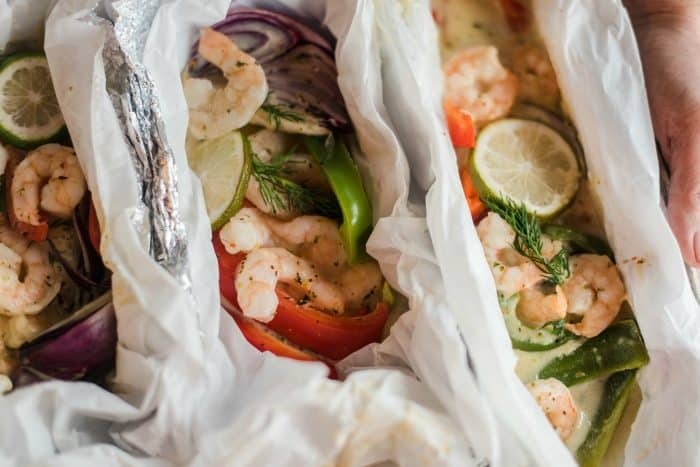 Fold the parchment paper and foil over the shrimp and veggies to close off the pack; pinch the ends up and over to a closure. 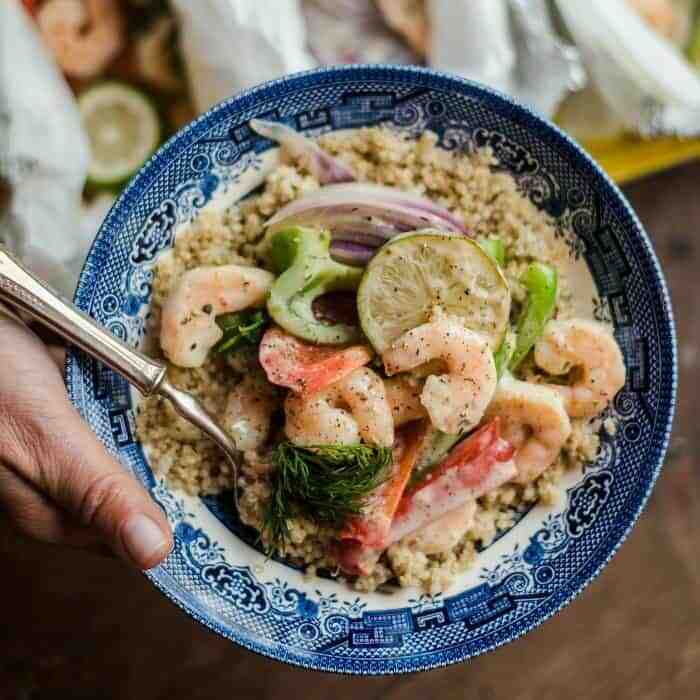 Grill over medium-high heat for 12-14 minutes on each side OR bake at 400 for 25-30 minutes, or until shrimp is cooked through and "pink" and veggies are tender. Serve immediately on quinoa or rice. Visit Gorton’s online for their whole line of delicious products, and look in the frozen food section of your grocery store. 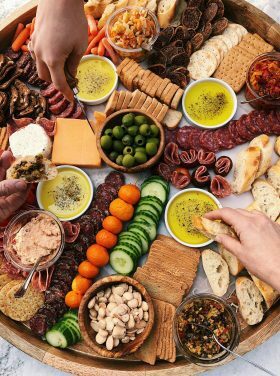 They have a variety of amazing options to choose from, from meals to appetizers! Disclosure: This post is sponsored by Gorton’s Seafood, though I created a recipe to showcase their Simply Bake line of frozen seafood. As always, all opinions are my own. Thank you for supporting the brands and businesses that I work with! Wow! 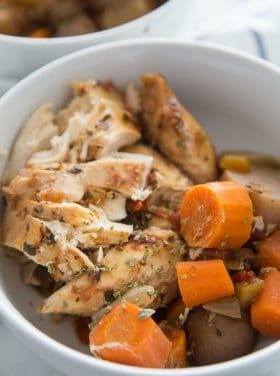 I cannot believe how easy this recipe is and it looks so good! Perfect dinner for when you’re in a pinch (and my 19m old looooves shrimp)! What a wonderful quick dinner idea!! looks delicious! Yum! Sounds so good. I love me some shrimp!! This sounds absolutely delicious! You definitely have a winner here. Yum. I can’t wait to try it. Love this easy meal idea, especially the fact you make them in foil packs. That shrimp looks very fresh too!